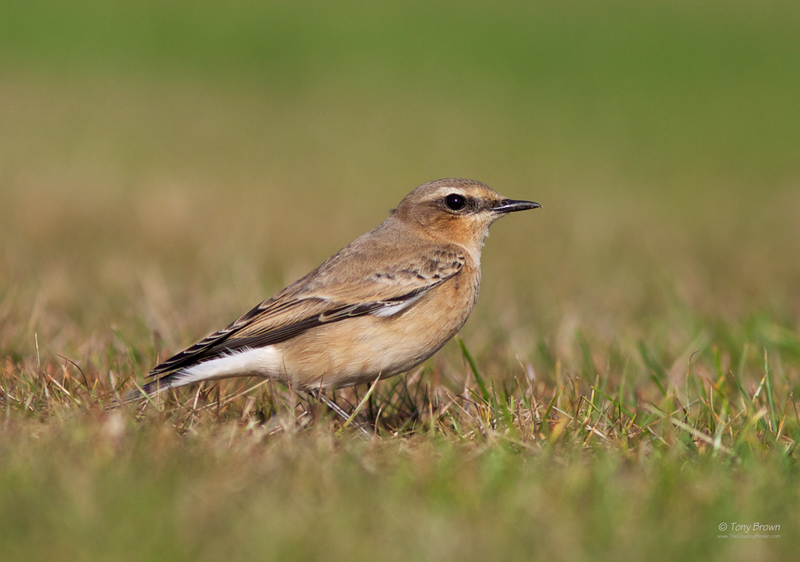 Yep, it's a bog standard, good old Northern Wheatear, but this one differs slightly from the all the others I've seen this year - why? 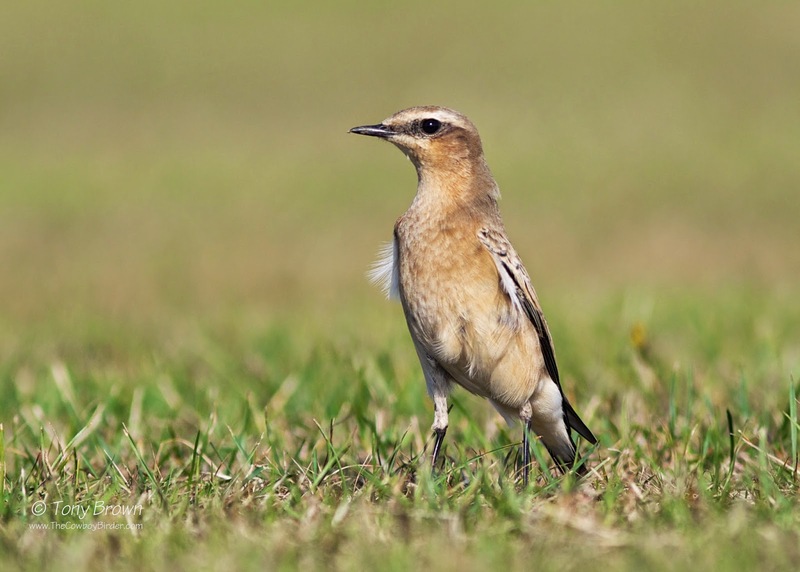 Because it's a 1st-winter Northern Wheatear and occasionally if you're lucky and you find a good one, these Autumn birds are a bit more inquisitive and confiding, and can be approached within just a few feet - unlike the adults in the Spring which are far too flighty. 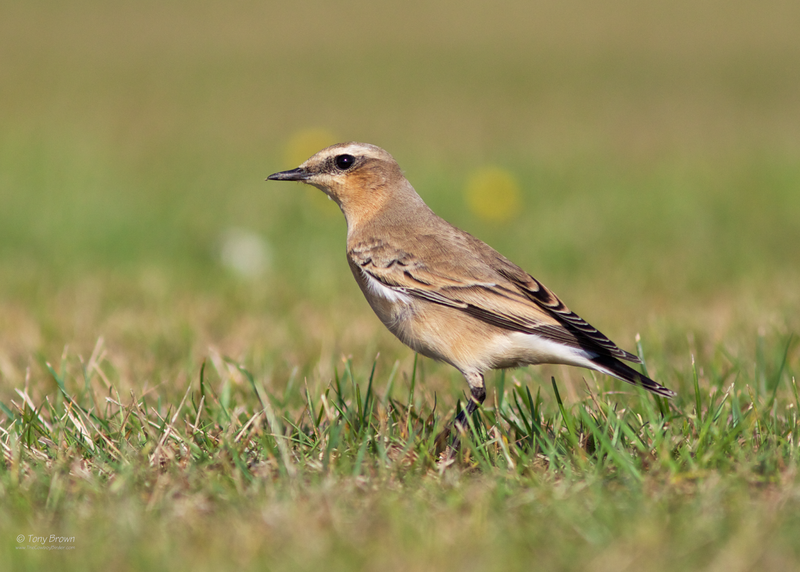 This was the case on Sunday morning as I crossed the Flats, two Northern Wheatears were chasing flies in the short grass on the football pitches, as I sat in the centre circle (thankfully it was a late kick-off) and watched the pair of them, they slowly started to head in my direction, oblivious of my attentions one of the birds came running right up to me until it was almost within touching distance - ok slight exaggeration, but you get my drift. 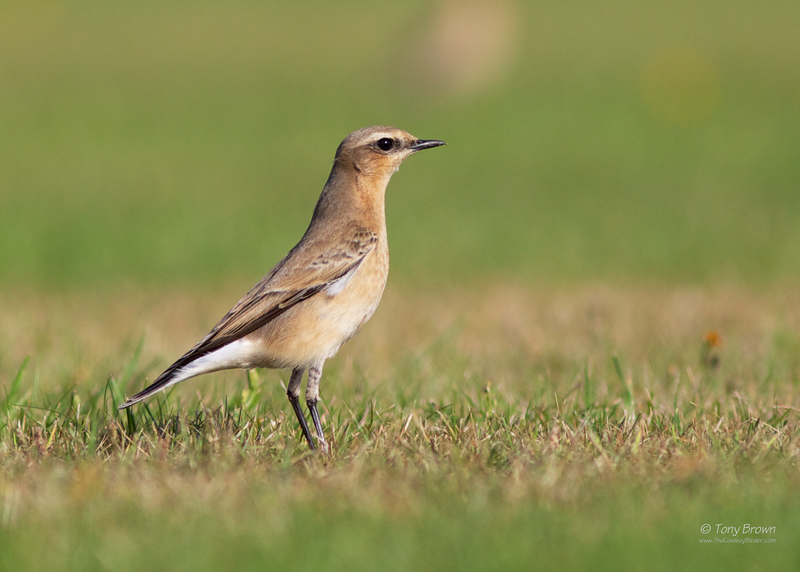 As I continued to click away, even the sound of the shutter didn't phase this bird and if anything it was intrigued by the sound - one rather special Wheatear.